Southview Leisure Park is a Parkdean Resorts site set in acres of beautiful Lincolnshire countryside; just 2 miles from Skegness town centre and beach. You can enjoy relaxing in idyllic surroundings and sampling some of the entertainment and facilities on offer. 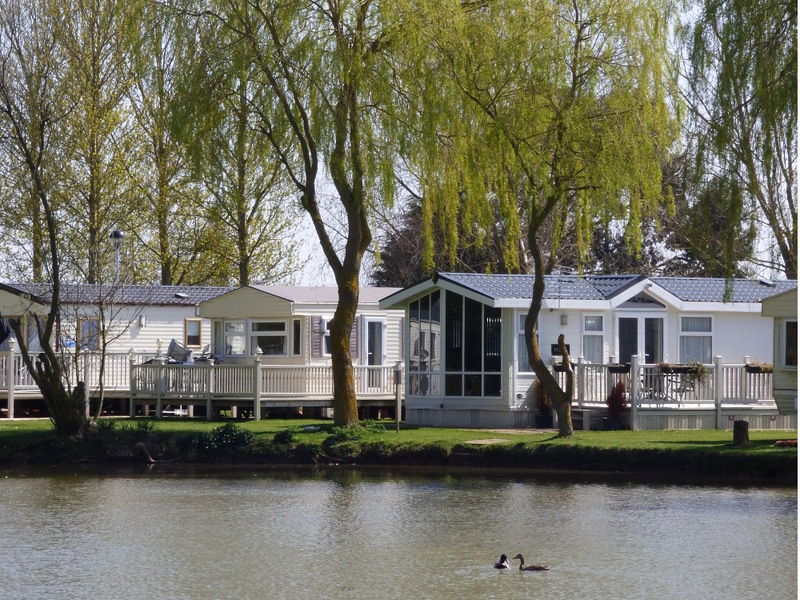 Visitors to Southview Leisure Park love being on a beautifully kept park which is home to a wide range of wildlife such as rabbits, birds, ducks and geese as well as having two well stocked fishing lakes for guests to use. Ornamental ponds are placed throughout the park and the caravans are all laid out in different areas to give Southview a unique feel to other holiday parks. You can also enjoy a meal or a fantastic evening's entertainment with a tribute act at Southview Park Hotel. Don't forget you can also pop into the on site shop for provisions. Need a site map? Click here. Newly expanded with more seating and a larger amusement arcade, the Lakeview Showbar is at the heart of Southview Leisure Park's evening entertainment. Throughout the season there are kids clubs, fun and games with the Starland Krew for the young ones in the evenings followed Madness and Mayhem and some great family entertainment. You'll love The Troupers and they love nothing more than helping your little ones enjoy their holiday. You can enjoy daily Linked Bingo games against players at other parks for large cash prizes as well as other excellent entertainment and acts. The Leisure Centre complex is home to Southview Leisure Park's indoor pool with waterslide. The pool is very family friendly with a dedicated toddler area and various fun activities such as water walkers, aqua jets and a huge inflatable obstacle course and water slide. With various activities throughout the day you will have plenty to keep the whole family entertained. The leisure centre is also home to the air conditioned gym (for 16 year olds and above only), as well as the sauna, jacuzzi, and the newly rebuilt Boathouse Bar & Restaurant. Having been recently expanded, the onsite arcade is located in the Lakeview Showbar complex and is open throughout the season. The arcade has a great range of fun and exciting games for everyone to play and the chance to win tickets in the 2p machines and various games which you can exchange for great prizes! Planning on visiting Southview Leisure Park more than once in a season? Keep hold of your tickets from all of your visits and save them up for more exciting prizes on your last visit of the season! The arcade is also stocked with other great games to play and machines to use, and as it is part of the Lakeview Showbar complex you the kids can use the arcade while you're playing Bingo or enjoying some of the excellent entertainment on offer while offering peace of mind that they're not far away. There are three outdoor adventure playgrounds on Southview Leisure Park, guaranteed to provide entertainment for as long as the sun shines. One can be found near the Lakeview Showbar, handy for when you're enjoying the evening entertainment, the second is behind the Boathouse Bar & Restaurant (ideal for stopping for a quick drink while the kids blow off some steam) and the third play area is the newest of the three can be found on the Sunset area of the park; again ideal if your caravan is a little further away from the main entertainment. All three outdoor parks have a range of equipment which can be enjoyed by kids of any age and are strategically placed around the park for maximum convenience. If you're in the mood for a spot of fishing Southview Leisure Park has two lovely fishing lakes which you can use by purchasing a day fishing pass from reception. Relax and unwind in these beautiful surroundings while enjoying a great day's fishing without having to even leave the site. Many of our caravans are located close to the fishing lakes; please enquire if you would like a lakeside pitch in particular as not all of the lakes on Southview allow fishing. You'll need your own rod and rod license to enjoy Southview Leisure Park's fishing lakes, why not take the opportunity to get a relaxing break away from a busy holiday schedule and spend some well deserved time by the lakes. Southview's lakes are well stocked with Tench, Roach, Carp and more. Southview's very own 9 hole golf course is available to our guests for a small fee, please ask at reception for more details. Make the most of being away for a few days with a round of golf without even having to leave the park. Perfect, head over to see our Caravans for Hire page to choose your accommodation or select your dates from the availability search on the right hand side. We can order your passes for collection and payment on arrival, or if you wish you can order them directly from Southview Leisure Park on 01754 896001. We recommend that you order your passes two weeks in advance where possible as per the guidelines set by Southview Leisure Park. Please note that failure to order passes before arrival could result in a delay in you receiving them, neither ourselves nor Southview will offer financial compensation in these cases. Entertainment Passes Prices for Southview Leisure Park. All prices are stated per caravan, not per guest.